Greece isn’t playing negotiating games with the EU, says Greek Finance Minister Yanis Varoufakis as he readies to face his counterparts in Brussels Monday, unwilling to agree to more of the same austerity medicine. Greece is determined not to be “treated as a debt colony that should suffer what it must. The principle of the greatest austerity for the most depressed economy would be quaint if it did not cause so much unnecessary suffering,” Varoufakis wrote in a New York Times op-ed, published Monday. Greece’s is one of the main players in the eurozone debt crisis, which began to unravel in 2009 and show the weakness of the then 18-member euro currency. The currency, which began circulating in 1999, was meant to make the EU a financial bloc to rival the US. But by banding together, no individual country of the union was safeguarded against the woes of another. In 2009, worries that Greece would default on its debt forced the EU to bailout the economy. Two bailouts were paid in 2010 and 2014 totaling €240 billion. The new Syriza-led Greek government does not agree to the eurozone bailout under the same constraints as the former government. “The great difference between this government and previous Greek governments is twofold: We are determined to clash with mighty vested interests in order to reboot Greece and gain our partners’ trust,” Varoufakis said. In total, Greece is more than €317 billion in debt, which is more than 175 percent its annual gross domestic product. Finances are dwindling. Greece needs to negotiate with EU policymakers by February 28 in order to receive the next tranche of bailout funds. Athens and Brussels have been embroiled in financial rescue package talks since the new government won a snap election on January 25 on the promise of ending austerity. Syriza is instead trying to renegotiate its bailout with its Troika of lenders- the International Monetary Fund, the European Central Bank, and the European Commission. The Greek government is asking for more time to negotiate, and wants a six-month bridging loan, not an extension of the old program, which has kept Greece in recession for more than 6 years. 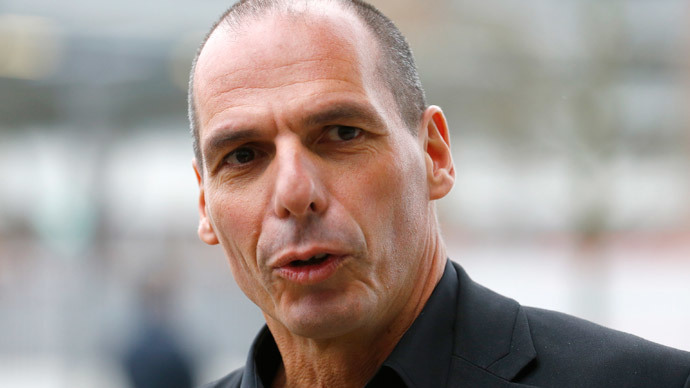 No red lines will be crossed, and no games will be played, Greece just wants to start growing again, Varoufakis wrote. “I am convinced that we have one option only: to shun any temptation to treat this pivotal moment as an experiment in strategizing and, instead, to present honestly the facts concerning Greece’s social economy, table our proposals for re-growing Greece, explain why these are in Europe’s interest, and reveal the red lines beyond which logic and duty prevent us from going,” the finance minister said. "I promise you: Greece will then, in six months' time, be a completely different country,” the Prime Minister Alexis Tsipras told Germany’s Stern magazine over the weekend.